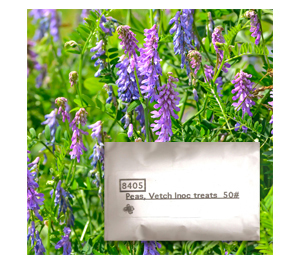 Seed Starting - Field Pea & Vetch Inoculant - 1/2 lb. OMRI Listed. Premium Inoculant for Field & Garden Peas, Vetch, Rye, Lentils and Fava Beans. Treats up to 50 Pounds of Seed.